E-Sisters Take on Capitol Hill - Women want Essure Pulled from the Market! November 13, 2015– More Essure women are headed back to Capitol Hill to urge lawmakers to pull the dangerous device from the market. Women from all over the country are joining forces calling themselves, “E-Sisters,” to pull Essure off the market permanently. The women spoke with Democrats of the Capitol last week, and yesterday they met with Republicans. More E-Sisters will head to Washington next week as well. 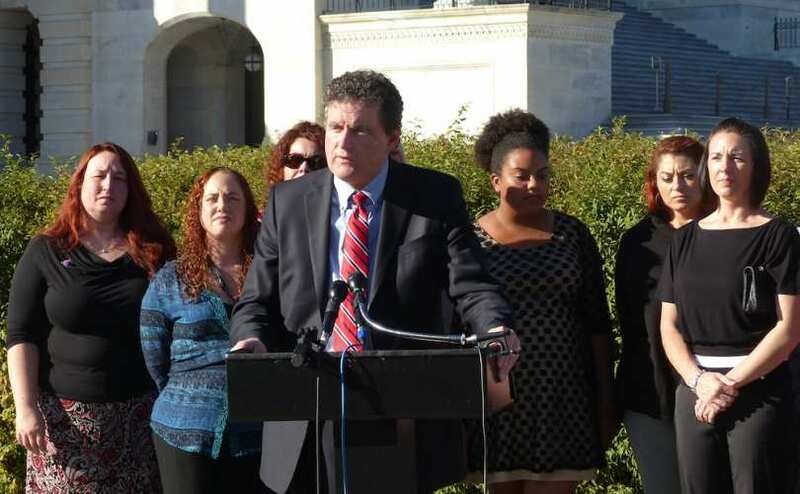 All of this effort is to urge Democrats and Republicans to support the E-Free Act, a bill drafted by Congressman Mike Fitzpatrick, that if passed, would pull Essure from the market within 60 days. The Facebook group “Essure Problems” has grown to more than 24,000 members, and these women won’t be giving up anytime soon. They started out wanting answers, and now they won’t stop until they have Essure taken off the market, or at least the pre-market approval for the device revoked.